Extreame Savings Item! Free Shipping Included! Save 43% on the 360 Dome PTZ Camera,1080p HD Pan/Tilt/Zoom Wireless Indoor Smart Home Camera IP Security Surveillance System with Night Vision, 2-Way Audio, Motion Alerts, Auto Patrol and Tracking by 360 at EISF. Hurry! Limited time offer. Offer valid only while supplies last. 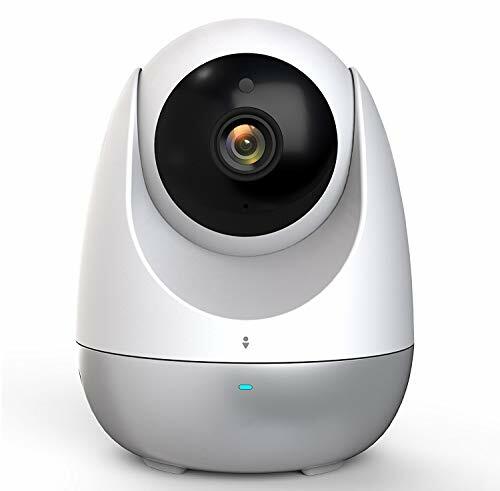 This 360 Dome PTZ camera can monitor your home from anywhere at any time. Experience 360° wide-angle and vertical 260° in 1080p HD resolution. This 360 Dome PTZ camera can monitor your home from anywhere at any time. Experience 360° wide-angle and vertical 260° in 1080p HD resolution. Advanced night vision with up to 20ft of viewing range. This camera can quickly connect with your family with a responsive and advanced microphone featuring a built-in anti-noise filter for a super clear 2-way Audio and video chat experience. The wide angle gives you a wide view. 360 Home App allows you to customize your settings according to your preferences: defined activity regions, camera sharing, customize alert schedules, and more. With 1080p 2MP HD resolution, f/2.0 aperture and 150° wide-angle lens, the camera provides complete coverage in crystal-clear images. With a simple double-click, you can zoom (up to 4x) and focus in the smallest details. 360 Home Camera night vision features 'non-invasive' 940mm infrared sensor that functions even in total dark environments, without disturbing those being monitored. Built-in advanced microphone and speaker for clear 2-way Audio conversations.Never miss a moment, even while you're away. You can see and hear what's happening at home and experience a smooth conversation at anytime. Ensure the camera connect to 2.4GHz frequencyband WiFi. The camera don't supports WPA/WPA2 Enterprise-Class WIFI and 5G WIFI. View More In Dome Cameras. If you have any questions about this product by 360, contact us by completing and submitting the form below. If you are looking for a specif part number, please include it with your message.